Hi, friends! Don’t you just want to stick your face into this bowl of guacamole? No? Just me? Well, it really is delicious… Andy and I had this for dinner tonight along with grilled skirt steak fajitas and deep fried plantains with crema (!) It was a happy night in the ole Arizpe household. Side note- why was this the first time I’ve fried plantains? They are so, so tasty. 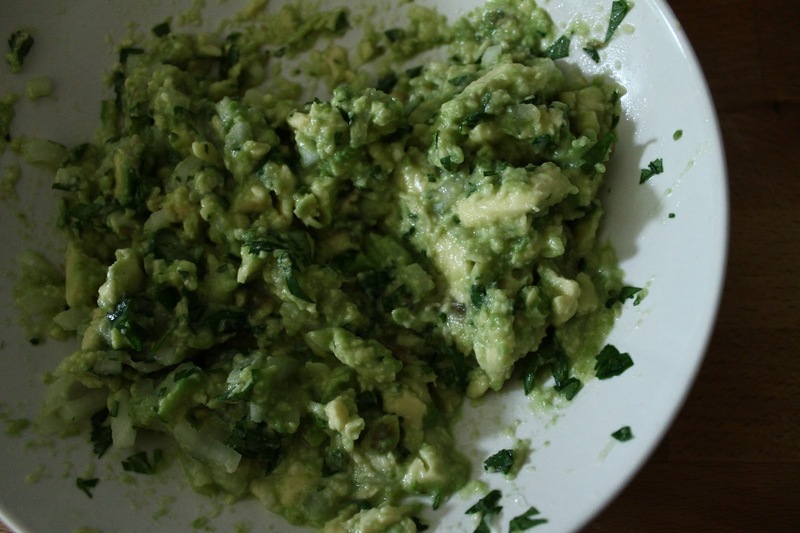 Put the diced avocado in a small bowl and mash half-assedly with a fork. You want it to be a little chunky so as to distinguish itself from the guacamole that comes out of the Taco Bell caulking gun. 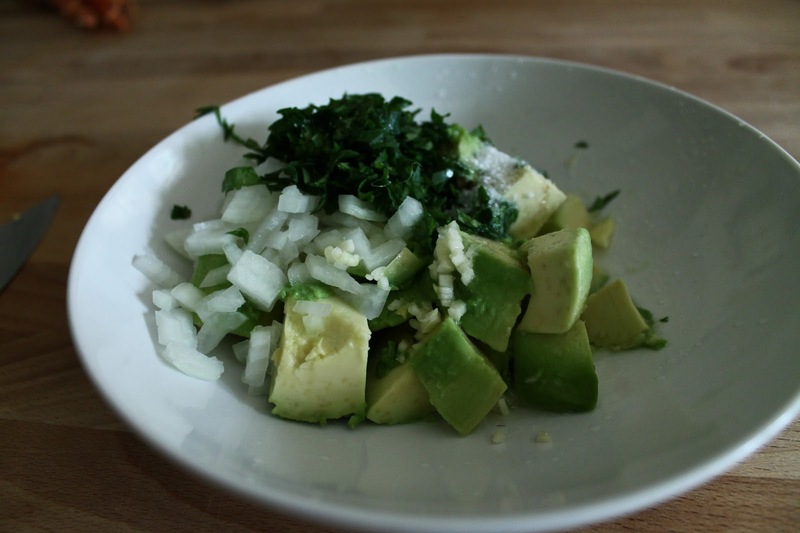 Add in the rest of the ingredients (onion, garlic, jalapeno, cilantro, lime juice, and salt) and stir to combine. Taste and adjust seasoning. If it seems flat, add more lime or salt or both. If you’re not serving it immediately, press a piece of saran wrap onto the surface of the guacamole and refrigerate. 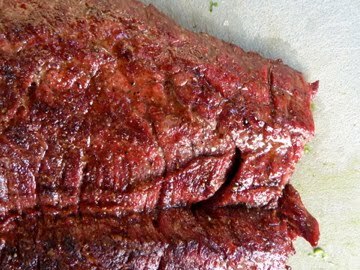 In case you were wondering, this is just a piece of skirt steak, seasoned with kosher salt and pepper, and grilled until nicely charred over a charcoal fire. thanks, mom! sorry i dogged on the seasoning packet guacamole! Yum! I want some. I however am of the religion that if it doesn't have cumin in it, it's not guacamole. thanks! would you believe me if i told you i've never (knowingly) had cumin in my guacamole? i'll have to try that out next time! don't worry arielle, I've heard of or tasted cumin in my guacamole neither! YOUR DINNER LOOKED SO GOOD.